2 How is Perlite Made? Here, we’ll explore the world of horticultural perlite, and shed some light on the best ways to put it to use for you. The finer stuff is useful as well, but it’s used for in quality seed-starting mixes or rooting cuttings as the drainage provided encourages rapid root production. Fine perlite can also be lightly scattered across your lawn’s surface, where over time it’ll work down into the soil and improve drainage. Perlite has its place in soil, but it is extremely useful in hydroponic gardening as well. One of the most popular ways to use it in hydroponics is in propagating plants by cuttings. As roots grow in response to the plant searching for a water source, a well-draining media like coarse perlite tends to provoke them to grow rapidly as they search for the tiny pockets of nutrients and moisture hidden within the mineral base. Ensuring that your cuttings are well-drained also prevents root rot. It helps if you use a rooting compound like Clonex to further stimulate root growth, too. To take care of your cuttings better, see my article on caring for your plant cuttings. 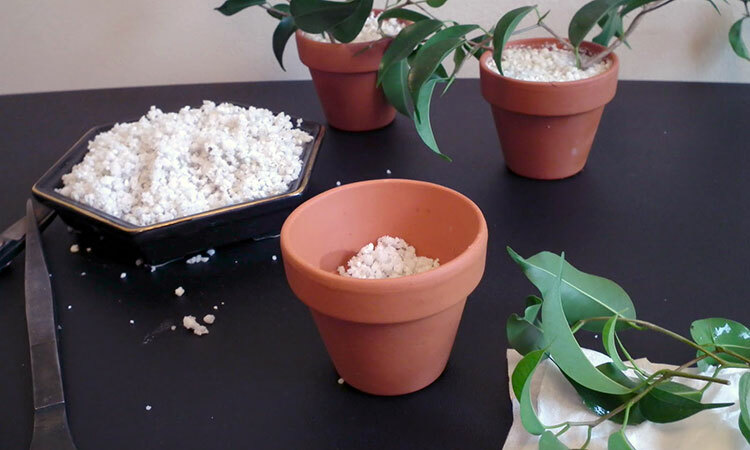 Even after your cuttings are started, perlite can be a standalone hydroponic growing media. However, it can be problematic in higher-water settings, such as ebb-and-flow systems or deep water culture. The lightweight nature of perlite, and its high air content, means it tends to float… and you don’t want your media to wash away! 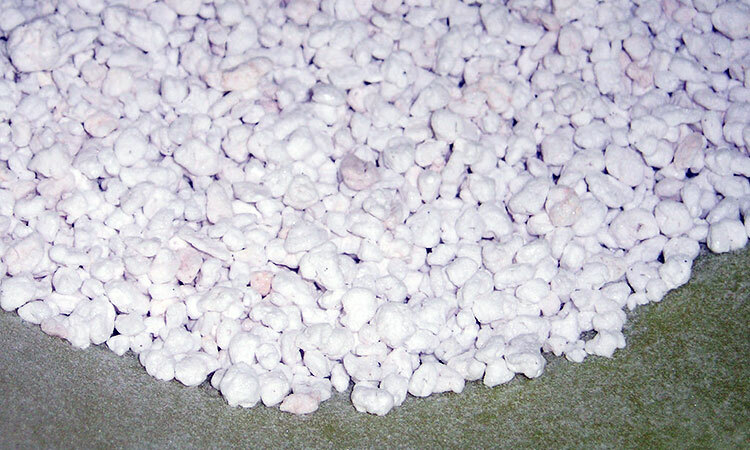 Perlite is truly a multipurpose additive to your plant media, providing lots of benefit with relatively few drawbacks. Whether you grow in containers on your patio, or are starting cuttings indoors under grow lights, you will find it to be a useful addition to your garden shed. It offers superior drainage at a low price and won’t break down. This volcanic popcorn really works! Looking through here l did not see anything the mix ratio. Mix ratios depend on how it’s being used, what it’s being used for, and what other materials it’s being blended with. For instance, there’s a number of people who root cuttings in straight perlite with nothing else. This is great to get the plants started, but won’t work well for the long-term. Orchids require a fairly dry potting mix. Those can use more perlite and wood chip than soil, possibly as high as 50% perlite! 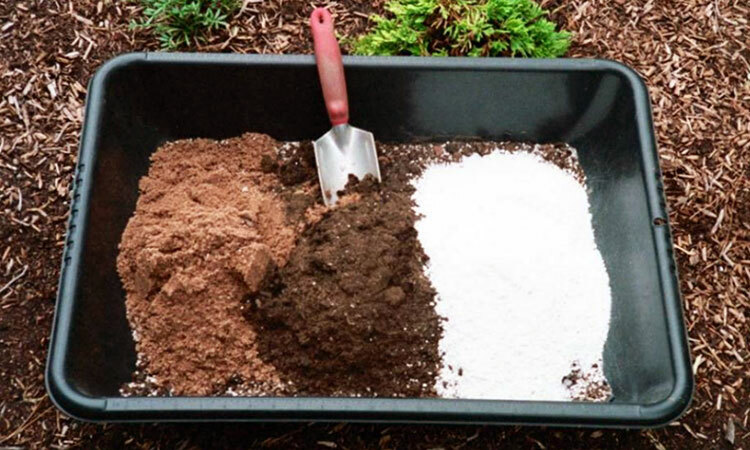 It also depends on the other components of your potting mix. 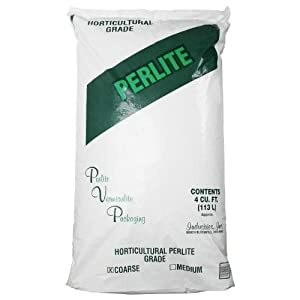 If you’re looking for a good standardized potting mix that can be put to use in most kitchen gardens or with a wide variety of plants or flowers, Kevin has a great video on YouTube showing the one which Steven Cornett of Nature’s Always Right uses, which is about 30% perlite. 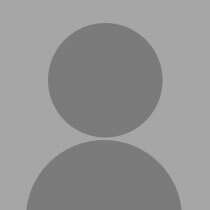 You can find that video at this link. In my raised beds, I recently blended in roughly about 5% perlite into the upper layers just to add a little extra aeration and to reduce compaction. As I add more composted material to the soil, there’s also some larger particulate matter in there which will provide good drainage and reduce compaction too. As you can see, there’s no single mix ratio that’s considered “right” — it’s all relative to what you’re planting and how you’re using the perlite! Completely new to gardening in containers as I live in a condo. I had a question concerning Perlite, as I am very unfamiliar with this white substance. But I came across a company that sells a lot of landscaping products. I asked for Perlite in Course grade because people were mentioning about it the last time I was looking at plants. Well I got a bag that said it was Premium Grade Perlite. As I got home I took notice when I opened the bag it had White and Grey Perlite. The bag itself said it contained Perlite and Crystalline Silica 1%. Would you know if I got the correct product for my container gardening or should I return it to that landscaping company. Crystalline silica will not harm your plants in any way. It’s a naturally-forming mineral deposit found in most rocks, and in fact plants probably like it. So it’s not harmful to your plants. However, breathing in the dust of crystalline silica can cause very severe lung damage in humans, and is recognized as a carcinogen. Now, keep in mind that not all crystalline silica is dangerous… quartz crystals are a form of crystalline silica that many people have around. But the dust itself is dangerous to us, and in a bag of perlite, there will be both perlite dust and silica dust. If you do decide to use it, be sure to wear a respirator mask until all the dust has subsided in the area where you’re using it, and don’t work with it indoors. Once the granules and dust have been mixed with the soil, you shouldn’t have a problem, as the dust just becomes part of the soil structure. 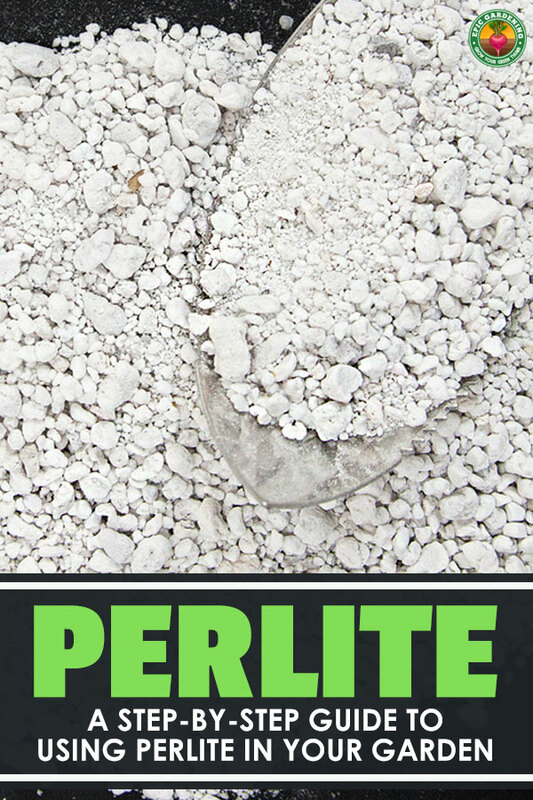 Perlite itself is pretty dusty stuff, so it doesn’t hurt to have that respirator mask anyway! It also helps when spreading diatomaceous earth (another silica form, if not a crystalline one — and much less risky to humans). 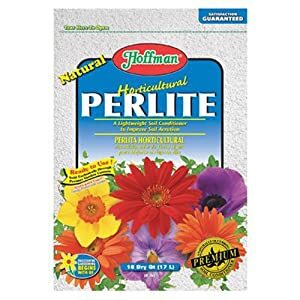 I personally would return it because I think that a “premium” perlite should be 100% perlite and not perlite blended with silica. But that’s a personal preference. If you live in San Diego, you can also check out Eastman Soil. You can pick it up or they’ll deliver to you. 4 cubic feet for $13. 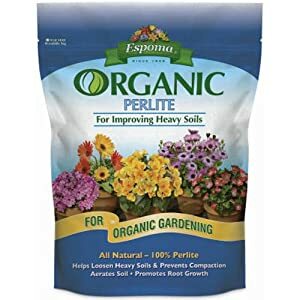 I’m about to order some and garden soil but was looking up uses for perlite before I did. Seems like a great thing to have, thanks for the wonderful info! I used Bedrock Boulders last time…will definitely check out Eastman! Do you put on top , bottom or mix? Thank you, totally new to it! I mix. It’s too lightweight to leave on top and you want the aeration and drainage properties to be evenly distributed throughout the soil! Kevin- you did it again. Explained a pretty darn complicated topic at an expert teacher level. What I’m not so happy about is the sharply rising cost of Perlite– even those products you mentioned in your post. I cannot afford Perlite purchased in quarts. I need 40 metric cubes of the stuff. However, if there is enough interest (I do not have any following), it sure would save so many of us buckets if we could somehow do a cooperative purchase from Alibaba or something. 15 cubic meters- https://www.alibaba.com/product-detail/horticultural-expanded-perlite-as-hydroponics-growing_60476492434.html?spm=a2700.details.maylikever.9.Jj6UIJ. Wow, that’s pretty cheap for perlite! I’ll have to check it out as I live in San Diego too! Thanks Ron.